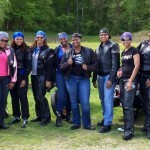 Street Angels MC: Heaven On Ground ‹ Black Girls Ride Magazine | Motorcycles, Accessories, Biker Fashion and Events for Women Who Ride! When and where was your club founded, and who were the primary founders? 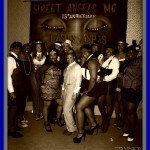 Street Angels Motorcycle Club, Incorporated was founded on Wednesday, January 29, 2003 in Atlanta, Georgia. 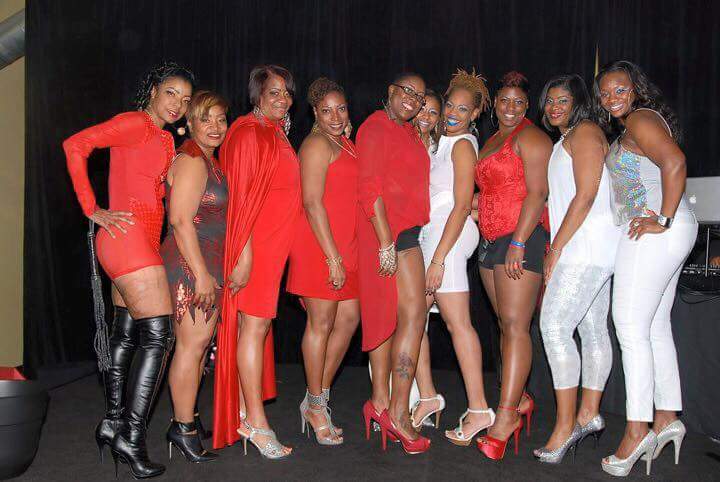 The club was established by 11 awe-inspiring women known as: Get Gone, Cocoa, Stingray, Venus, NonChalant, She-Devil, Angel, Mystique, Sinister, Freeway, and Skyy. What is the club’s mission or motto? 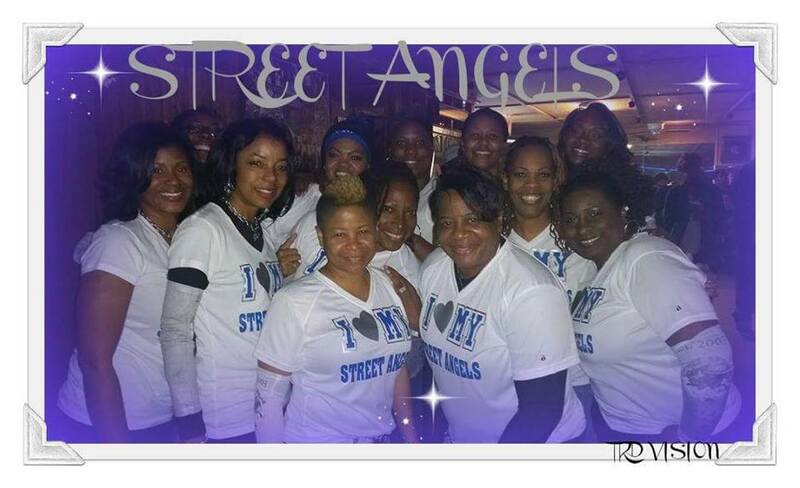 Street Angels Motorcycle Club is a collaboration of professional women riders who are dedicated in our efforts to promote the safety, camaraderie, and patronage of the riding population as well as provide for the community. Our Motto: It’s black and blue til I’m through! What challenges have you faced as females in Club? As a female club, we faced several challenges. In the beginning we faced not being taken seriously simply due to our human anatomy. Then, there is of course the matter of individuals within the motorcycle community doubting our longevity as the stereotype goes, “When you get a bunch of women together nothing can be accomplished.” Thus, we had to prove ourselves by being visible, riding hard, and acting upon what we stood for as a club; ultimately converting our naysayers into yeasayers. What annual events do you promote? 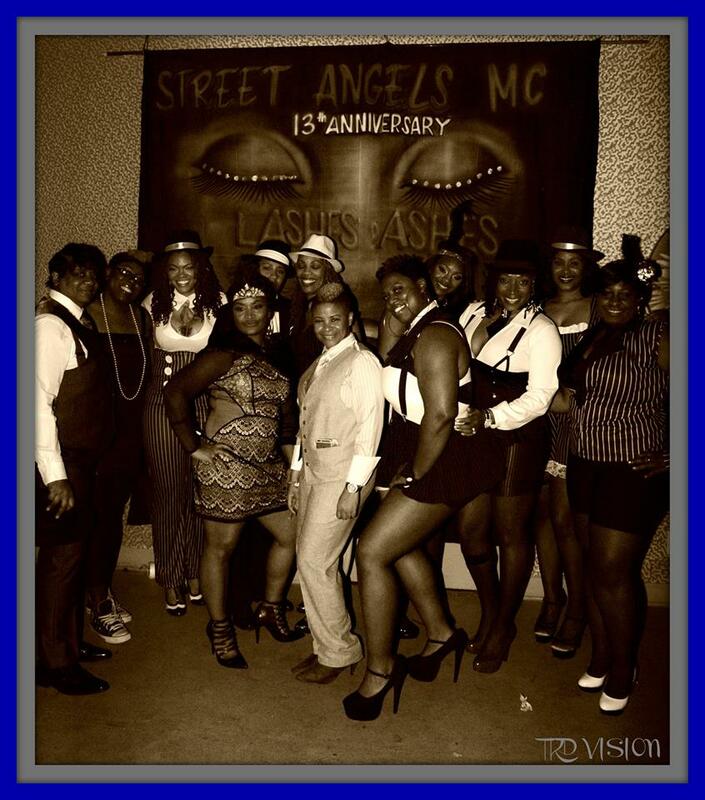 Street Angels MC Anniversary Celebration – On January 29th each year, our club celebrates by hosting a party with a theme. Little Free Library – Year-round the club sponsors a free library for a community in the DeKalb County area. The library is stocked with various genres of books for school-aged children. Susan G. Komen Breast Cancer Foundation – It is unfortunate that several of our members have in some way been affected by this horrific disease. 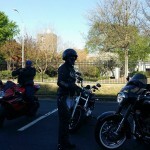 So, every May, our club participates in the Race for the Cure. This is a mandatory event for us. Women’s Resource Center of DeKalb to End Domestic Violence – We have sponsored this center for the last four years. As a club, we desired an organization that we could bond with while being able to truly make an impactful difference. Annually, we provide them varying paper products. As well, we host dinner nights where the Angels themselves cook for the center, and we sponsor professional workshops to prepare women to enter the workforce. 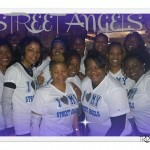 Academic Scholarship – Street Angels Motorcycle Club, Incorporated has a 501 (c) (3) named Street Angels Scholars. The club awards scholarships yearly. Graduating high school students must apply for the scholarship, participate in an interview, and be selected by the committee to receive this award. 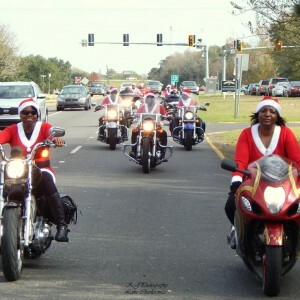 Kickstand Promotions, LLC Feeding Families for Christmas – We have participated in this great endeavor for the last 5 years. Every year during December, we come together with other organizations in the MC community to provide the requested items in an effort to aid several families in having a better Christmas. 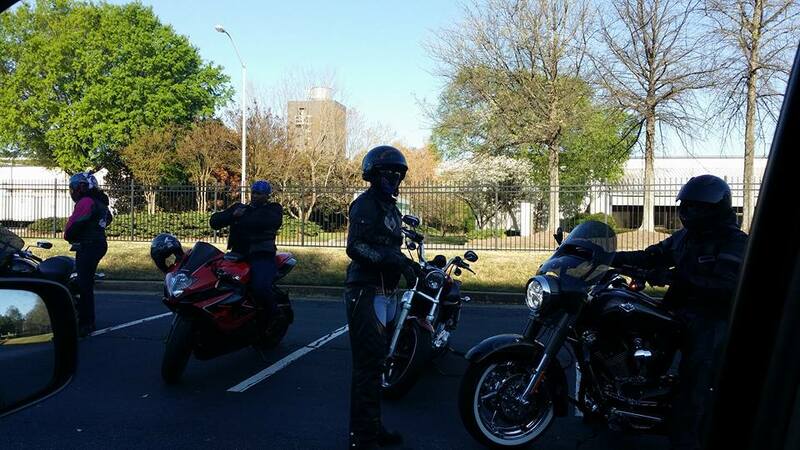 What are your favorite cities or roads to ride? What should a woman look for in an MC club? 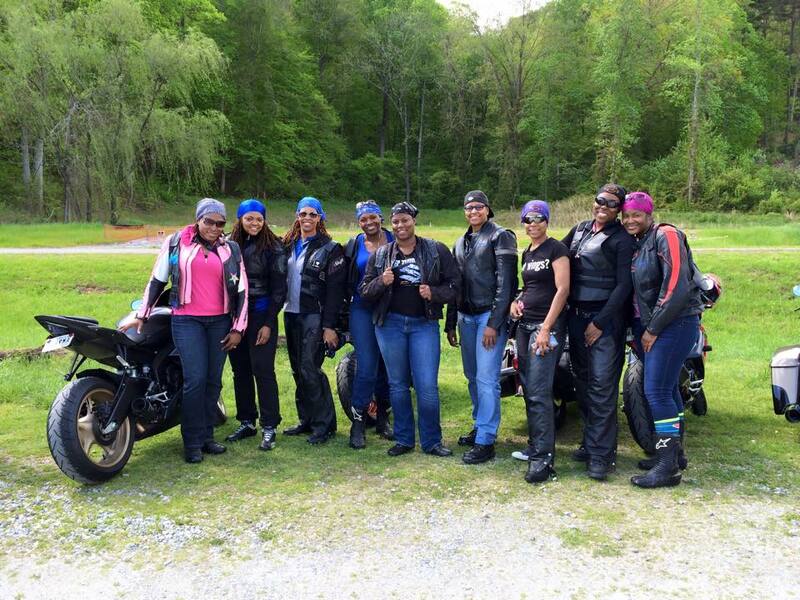 A woman looking to join a MC should look for a club that suits her best according to her goals, interests, expectations, and rationale for desiring to become a member. She should look for camaraderie and sisterhood that compliments her and vice versa. Essentially, the woman should consider what the club stands for and not what they claim to stand for. She should choose wisely. What does your club look for in a member? 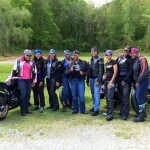 We look for mature, professional women riders that mesh well with our organization. We expect members to be positive influencers, supportive, lend encouragement, and fully participate in all endeavors of the club. Are there any last words you’d like to leave us with? Want your club featured? Email us at blackgirlsridemag@gmail.com today! Beautiful article ladies! 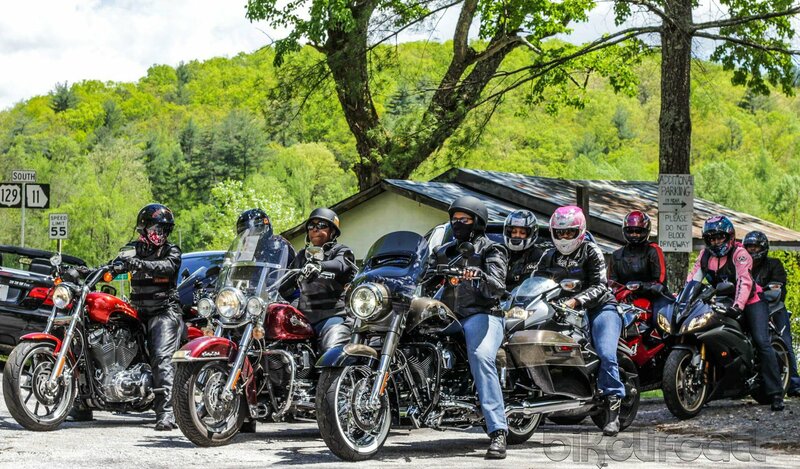 Keep doing what you do representing the lady riders across the country that love this hobby and lifestyle that we all share on 2s. 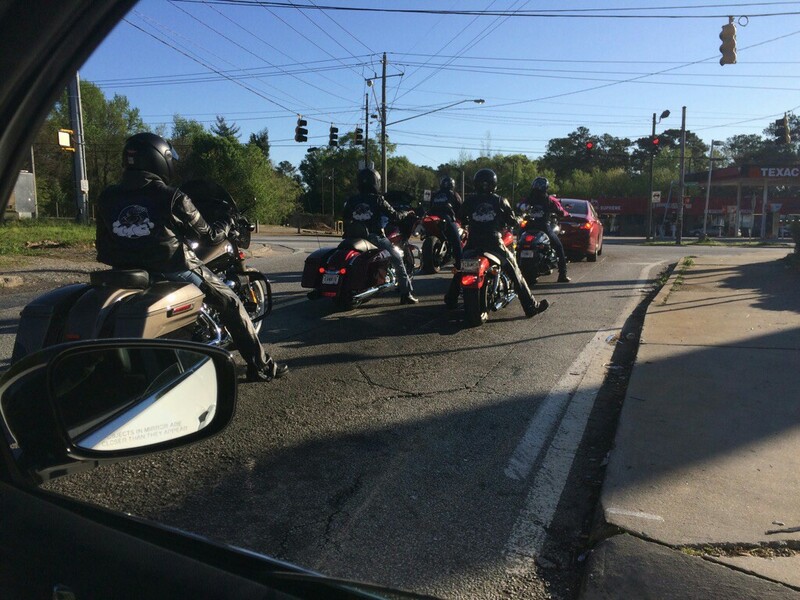 I hope to 1 day meet you all as I have family in GA area & I frequent often. I plan on coming down for my 1st real long distance trip in Summer of 2017 on my bike. Peace and Blessings from Detroit, MI. 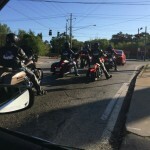 Rubber side down!